Resilience is the process of successfully bouncing back from stress—and it can be learned and developed in anyone. 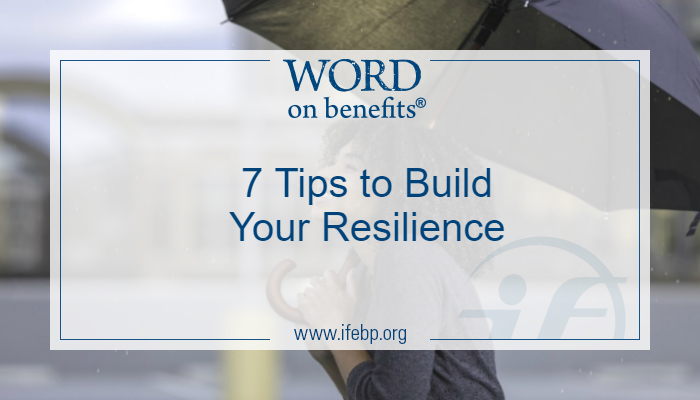 This National Employee Benefits Day we want to encourage you to build your resilience, and we’ve got seven quick tips to get you started! Whether it’s physical activity, eating healthy or getting enough sleep, healthy behaviors can help you manage stress. Find an activity that you enjoy, and take time each day to fill your tank. If you’re not sure where to start, try mindful breathing, where you sit quietly and bring attention to the physical sensation of your breath. Doing mindful breathing for even a few minutes can make a big difference! There will always be unexpected bumps in the road, but reframing challenges can make a big difference in how you face a situation. Try to stay flexible to life’s inevitable surprises. Resilient people are not paralyzed by challenges but instead see them as a chance to grow. That little voice in your head? Make sure it’s practicing self-compassion. A good way to tell if your self-talk needs a makeover is to consider whether you would say those same words to a friend in your situation. Try to stop negative self-talk when you hear it. Remember that everyone experiences struggles, and be optimistic about the future. In a crisis, it may be daunting to see how you will handle a problem. Try to view the situation in a matter-of-fact way and set reasonable goals. If you’re getting overwhelmed, break the challenges down to small, manageable steps. You can do it! Flexibility is an essential part of resilience, and it is sometimes necessary to adapt to a situation that you cannot control. Accept that reality, remain positive and focus your energy on situations that you can control. Having a strong support network is a great way to get through life’s challenges. Sharing your feelings with others allows you to release stress and brainstorm solutions, and a strong network can provide both emotional and logistical support in a crisis. If your network isn’t as large as you’d like, look for opportunities to help others. By extending support to others, you’re more likely to receive support in return. Don’t forget that, ultimately, you are the one in the driver’s seat of your life and the one in control of your future. Remember: You can’t always choose what happens to you, but you can always choose how you respond. Looking for More Resources on Resilience? 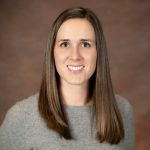 Learn more about resilience and find resources to help you celebrate National Employee Benefits Day on April 2, 2019!